Don't forget to check your Christmas collection dates! Don’t forget to check your Christmas collection dates! With Christmas Day falling on a Wednesday this year, it falls to us to remind you all to check your refuse collection dates. 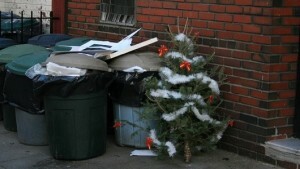 Both domestic and commercial collections are bound to be disrupted and re-timed, so it makes good sense to check with your council (if you are a domestic customer) or your refuse collection company (if you are a business waste customer) to ensure that you present your waste for collection at the right date and time. Usual practice over the Christmas and New Year period is for collections to be suspended for Christmas Day and Boxing Day, with regular rounds to be resumed after two days. Then there’s a gradual catching-up (not helped by New Year’s Day being midweek this year), in which collection dates spring back to normal after two to three weeks. For domestic household waste, this information is usually published on your local council website and in local newspapers. Some councils will even stuff a leaflet through your door, though heaven knows where they get the budget for that sort of extravagance these days. Commercial waste customers should deal with the organisation or company that deals with their collections. If your commercial waste is removed by council-operated roundsmen, then your collections will probably follow the same sort of pattern as domestic. If you deal with a private company, then it would be best to speak to your representative, and they will tell you the exact position for the festive period. Needless to say, it all depends on the frequency of your collections. If you’re on a daily contract, then you’ll be informed of arrangements for special days. If you are on a different frequencies, then you’ll be told when to expect a collection. As night follows day, you can bet your bottom dollar that if your local authority is one of those that gleefully collects fines for incorrectly presented refuse, then they’ll be out in force over the holiday period. Make sure you know when your collections are, and make sure the right refuse is ready at the right time.